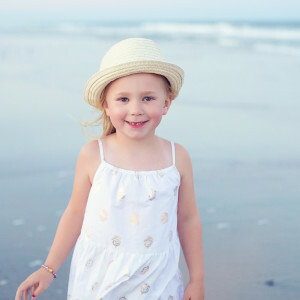 Specializing in children photography (including newborn, cakesmash/one year-old, baptism/communion, bar/bat mitzvah, teen/senior, family, & beach) Christine DeSavino is an artistic custom portrait photographer serving Northern NJ, New York City (NYC), & the Jersey Shore (LBI/Long Beach Island). Based in Bergen county, she also services Westchester, Rockland, Hudson, Orange, Union, Essex, Morris, Somerset, Passaic, Sussex, Monmouth, and Ocean Counties. If you are a past client and would like to share your experience, I would greatly appreciate it! And please let me know if you have any suggestions on how I can improve my business. Christine, I can’t thank you enough for the wonderful experience you gave to me and my family! I will forever treasure the absolutely breathtaking images you captured of my children!! You are amazing and an absolute pleasure to work with! I can’t wait to work with you again! Christine is the absolute best photographer! I have relied on her for the last three years to capture beautiful images of my children and she never disappoints. In fact, she surpasses my expectation each and every time. She is also such a pleasure to work with and knows how to get the little people to smile! You will never regret having her photograph your children. Some of my most treasured possessions are the pictures that she has taken of my kids. Love her and her work! We have had nothing but the BEST from Christine! She truly has a gift in capturing memories and working with children. Her patience amazes me, whether is was getting our newborn to sleep for his photos or dealing with our “on the move” 1 year old. We have had two wonderful sessions and we can’t wait to work with her again! Thank you so much for the pictures. We really love them all!!! You did a beautiful job. ~ Bhavesh & Rupal P.
Christine – you truly have an amazing gift!!! The photos are absolutely stunning, and you masterfully captured the essence of our boys’ personalities, shining like magic through their eyes! We had so much fun working with you, what wonderful memories, now captured forever to enjoy. You are incredibly talented and we’re looking forward to the next session! Christine, I feel so fortunate that I was able to have YOU capture these sweet memories of my daughters’ first weeks of life. The time you took, the warmth you radiate, and the beautiful images you produce are truly gifts. I LOVE THE PICTURES…..I’m not sure how I will ever pick them. You really are so talented. Thank you so much for your work. Our experience with Christine was quite simply amazing. While we hadn’t met her prior to our session, our daughter felt so comfortable with Christine and enjoyed the photo shoot. When we received the pictures (within the timeframe she specified)…we were thrilled! I had described to Christine the look that I wanted for the pictures and she captured exactly that. I can’t express how happy we are….and every person we share them with asks who took the pictures because they also think that they’re amazing. Thanks Christine…can’t wait to book our next session. If this is your first time contacting me please take a moment and fill out my contact form. This will help me to prepare when I get in touch with you. If you have specific questions or are a returning client feel free to contact me directly at 917-697-1835 or at 99,104,114,105,115,64,99,104,114,105,115,116,105,110,101,100,101,115,97,118,105,110,111,46,99,111,109,46.moc.onivasedenitsirhc@sirhc . And be sure to signup for my mailing list to find out about my current promotions!. Promotions are a great way to save and I run them quite often. But the only way to find out about them is to be on my mailing list.